Here’s one more preview of the cocktails Ezra Johnson-Greenough and I will be serving at our Brewing Up Cocktails Spirited Dinner at Tales of the Cocktail in New Orleans. Because we’re gluttons for punishment, we’re serving not one but two flips during our dinner. That means that if all 70 seats sell out, we’ll be shaking up 140 flips in the course of an evening in addition to 140 other drinks. Our arms will be feeling it the next day. If this drinks sound weird, you don’t have to take my word for its tastiness: A version of it took third place in the Drambuie Nail or Fail cocktail competition earlier this year. Tickets for our Spirited Dinner, happening this Thursday, are on sale here. It’s at Emeril’s Delmonic Steakhouse and is sponsored by Drambuie and El Dorado rum. This is a refined version of a recipe we made at Carlyle back in 2009 for a night of drinks featuring Fernet Branca. That version was delicious but it didn’t freeze well as I’d have liked. A few months ago I acquired an ice cream maker, so I’ve been enjoying lots of fernet sorbet this summer tweaking the recipe to reduce the amount of sugar and alcohol, both of which impede freezing. The texture on this one still isn’t perfect for a stylized restaurant presentation, but it’s much more stable. Perhaps it would be perfect with a better ice cream maker or a fernet with a lower proof than the ubiquitous Fernet Branca that I’ve been using. The important thing is that it tastes fantastic. “Awesome Sorbet” was the label I found on the container at Carlyle when we made the first batch, and it still lives up to the name. 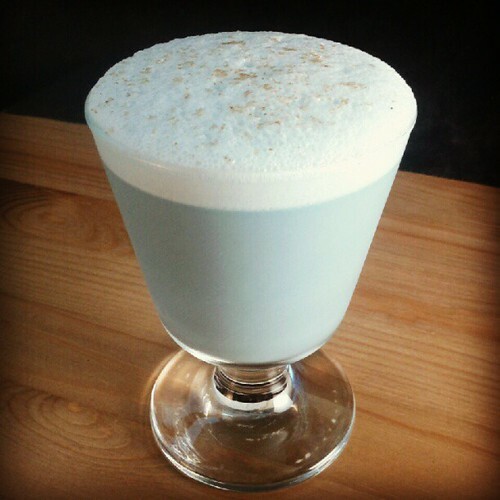 The inspiration for this is the fernet and ginger ale pairing beloved by so many West Coast bartenders. Neither ingredient dominates the sorbet, but they add spice and flavor. Combine all but the bitters in a mixing tin, dry shake, then shake again with ice. Strain into a chilled cocktail glass and garnish with the bitters. Wild Turkey 101 works great as the rye in this drink. 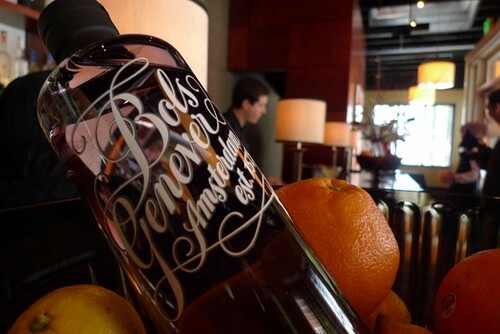 The bitters were made by Evan Martin with Novo Fogo cachaca as a base; feel free to substitute a different aromatic bitter. I have a new cocktail up at Imbibe this weekend featuring the limited edition Beefeater Summer Gin, hibiscus syrup, lemon, and cucumber. 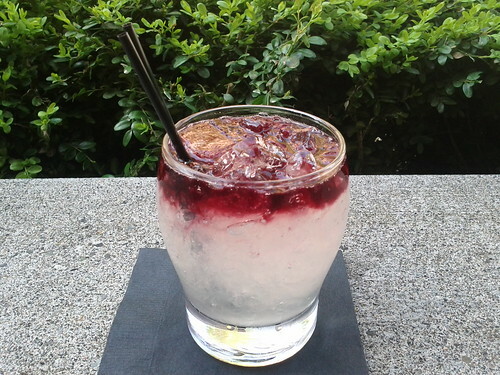 If you’re looking for a refreshing summer drink, give the Tiberius Fizz a try. According to The Natural History of Pliny, by Pliny the Elder (Book XIX, Chapter 23), the Roman Emperor Tiberius had the cucumber on his table daily during summer and winter. The Romans reportedly used artificial methods (similar to the greenhouse system) of growing to have it available for his table every day of the year. To quote Pliny; “Indeed, he was never without it; for he had raised beds made in frames upon wheels, by means of which the cucumbers were moved and exposed to the full heat of the sun; while, in winter, they were withdrawn, and placed under the protection of frames glazed with mirrorstone. Reportedly, they were also cultivated in cucumber houses glazed with oiled cloth known as “specularia”. He was also a dark, somber, and sometimes tyrannical ruler, described by Pliny as “the gloomiest of men.” Perhaps a few cucumber fizzes would have cheered him up. If you follow my Twitter feed you saw that I posted cryptically last week about having a job interview on April Fool’s Day. It was a real interview and I’m pleased to announce that I’m now working with Lucas Bols as the Portland brand ambassador for Bols Genever, Damrak Gin, Galliano, and the Bols line of liqueurs. I’ve been a fan of their products ever since helping out with the Oregon launch event for their genever at Carlyle a few months ago, so I’m excited to be on board introducing people to this classic spirit that’s been unavailable in the US for a long time. Shake the first three ingredients with ice, strain into a coupe, and finish with the pinch of pepper. This is a really cool drink and I love the way the spice, sweetness, and citrus balance one another. Stop in soon to try it out. Today I’m helping kick off guest blogger month at one of Portland’s best and most esoteric blogs, the one and only Iced Borscht. When I was first invited to contribute I said I’d only do it for my usual honorarium of $700, a case of Fernet, and a Scotch egg, but then he named me “one of the top political minds in town” and I lowered my fee to just the egg. Click over to Iced Borscht for my post about one of Carlyle’s favorite seasonal cocktails, the Erica’s Impulse, a tasty fall drink featuring brandy and allspice dram. Shake and strain over ice into a chilled Martini glass. Ardbeg is my preferred Scotch here, but feel free to substitute another smoky Islay. Obviously this is just a Scotch version of a Last Word. It substitutes Scotch for gin, Drambuie (an herbal liqueur) for Chartreuse (another herbal liqueur), and lemon for lime. It all came together on the first try; I wish all cocktails were this easy to make. I’ll be serving this cocktail tonight at the 2009 Drambuie Den Bartender Showcase in Portland. Get the details and RSVP here if you’d like to attend. There’s a prize for best cocktail, too. With my drink using all off-the-shelf ingredients and having no fancy garnish it will be tough to win, but it is damn delicious. Playing card enthusiasts will recognize the Curse of Scotland as a reference to the Nine of Diamonds, a card that has unique importance to many magicians as well. Farigoule is a delicious liqueur from Provence that I recently came across here in Portland. Its primary flavor comes from the region’s abundant thyme, with a few other herbs added for good measure. It’s a unique, wonderful product: Not too sweet, intriguing flavors, great aroma, and well-balanced at 80 proof. I enjoy it neat, but since that’s a tough sell at the bar I also wanted to highlight it in a mixed drink. 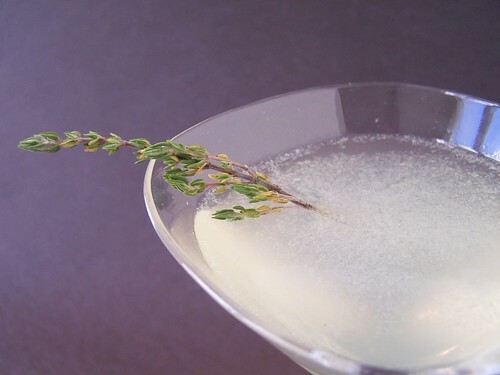 Shake over ice, strain into a chilled cocktail glass, and garnish with a sprig of fresh thyme. A really nice touch is to lightly toast the thyme to release its aroma before serving. My bar at Carlyle has tea lights on it so it’s easy for me to rest a sprig above a candle while I mix the drink. This fills the area with the scent of thyme and gives the cocktail an extra sensory dimension as the customer sips from it. 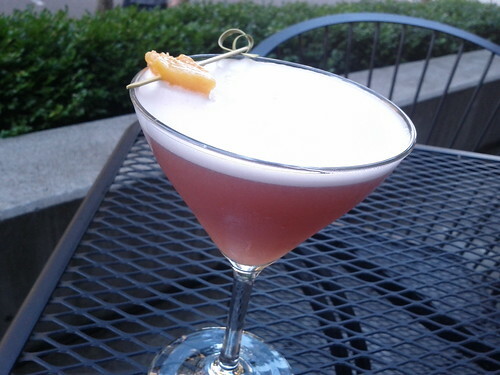 A tip of the hat for this drink also goes to Charles Munat, who suggested using Farigoule in a Last Word variation. 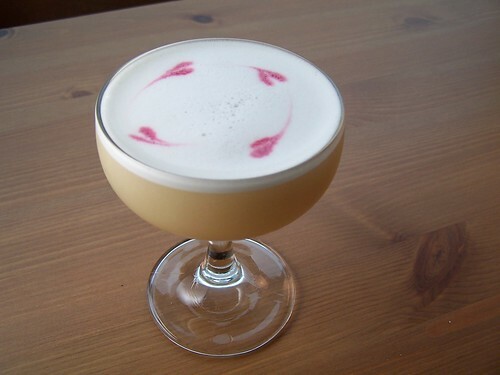 Though the proportions are different here, that’s essentially what this drink is, with Farigoule standing in for Chartreuse and lemon for lime.